Stag's Leap Wine Cellars Cask 23 Cabernet Sauvignon. The CASK 23 combines the signature perfume notes of FAY vineyard with the structure and minerality of S.L.V. The wine opens with deep red and black cherry aromas along with notes of juicy strawberry, cocoa and spice. The wine has an elegant texture with very fine tannins and great acidity. 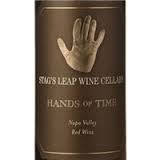 On the palate the wine is full bodied with rich dark berry fruit with hints of cedar and white truffle that lead to a long fruit and spice driven finish. 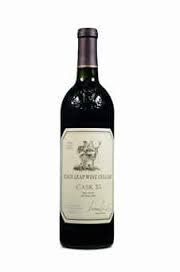 CASK 23 Cabernet Sauvignon is a tale of two vineyards that come together in a harmonious blend. For the 2010 offering, slightly more than half of the grapes were grown in our FAY vineyard while the balance was from select areas in S.L.V. Specific blocks within these adjoining ranches provide distinct attributes to the wine. Vines planted in volcanic soils on the eastern hillsides of S.L.V. and FAY give CASK 23 its structure, concentration, spicy intensity and elegant tannins; those grown in the alluvial soils in the middle and lower sections of the two vineyards add vibrant fruit flavors,a supple mid-palate and perfumed aromatics. Each lot was vinified and aged separately in small French oak barrels for 20 months, allowing the characteristics of each block to develop, while adding subtle spice notes. In the latter stages of aging the lots were blended, becoming one in CASK 23.